Vincent K. Her is an assistant professor of cultural anthropology at the University of Wisconsin–La Crosse. Mary Louise Buley-Meissner is an associate professor of English at the University of Wisconsin–Milwaukee. 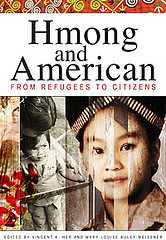 Since 2000 they have collaborated on many projects exploring the Hmong American experience.